The majority of the burrs are removed in the sand blasting and tribofinition process on occassions manual removal of larger burrs is required, before hand. (A burr is a raised edge or small piece of material remaining attached to a workpiece after a modification process. It is usually an unwanted piece of material and is removed with a deburring tool in a process called 'deburring'). 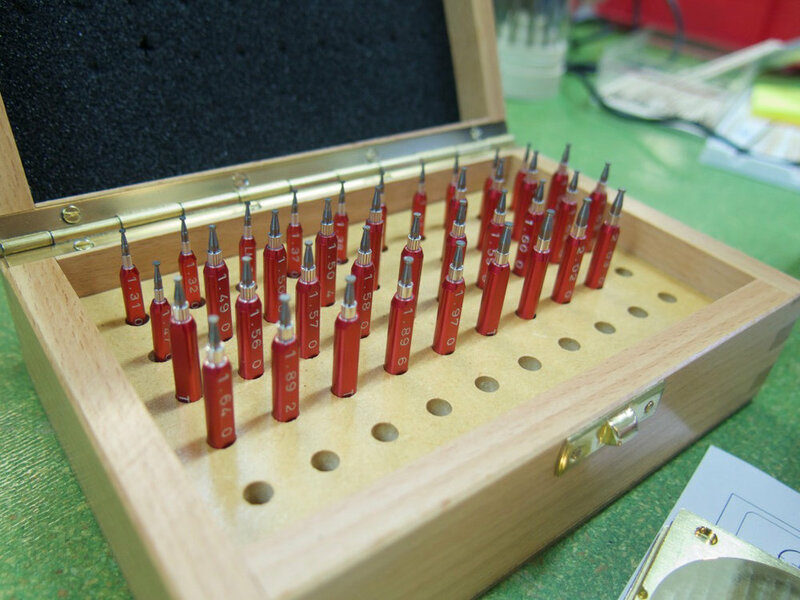 The majority of the holes cut are checked by comparators and machine, on occasions the checks are made manually with the use of precision guages and a microscope.